Posted January 4, 2019 by Meir Sivak & filed under Uncategorized. The Moxy brand has been making waves in the U.S. since its flagship Times Square property opened in 2017. Joining this property (as well as the Moxy Downtown) is the 349-room Moxy Chelsea, the second collaboration between Yabu Pushelberg and Rockwell Group. 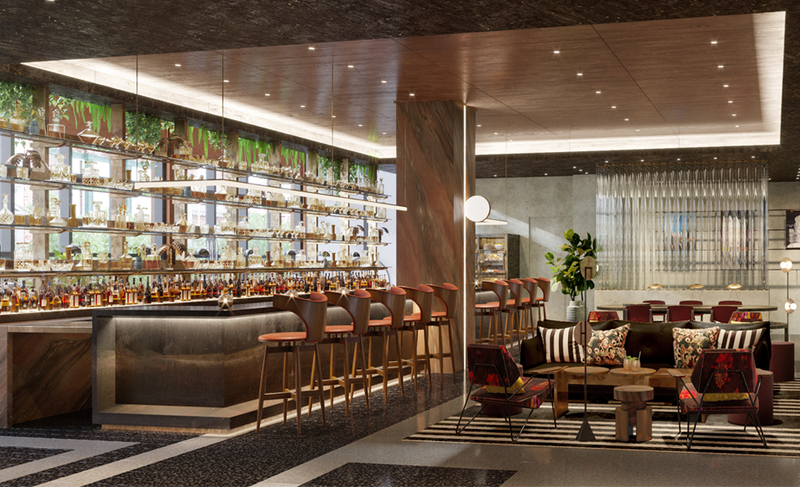 Blending botanically inspired design with Italian romance, the hotel will boast F&B concepts from Francesco Panella and TAO Group, including a glass-enclosed rooftop lounge.